Perhaps the numerous signs of a handsome horse in and around Nashville has caught your eye or the bold proclamation “The Best Show Ever” piqued your interest. Well Odysseo has arrived at the White Big Top right near Opryland and the Briley Parkway. Now is the time for Nashvillians to see for themselves if this equestrian extravaganza is in fact “The Best Show Ever”. Odysseo is scheduled to run from Wednesday August 30th through dates into September of 2017. 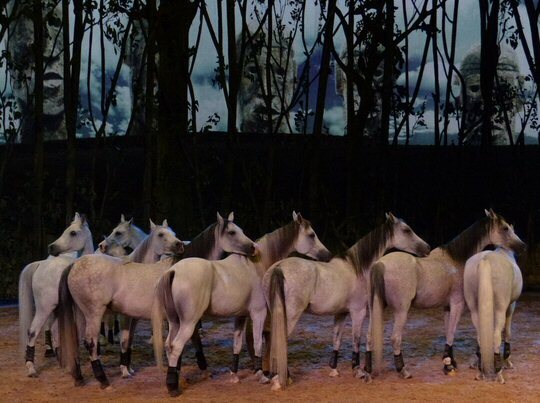 Magical scenes from Cavalia Odysseo in Nashville, Tennessee. 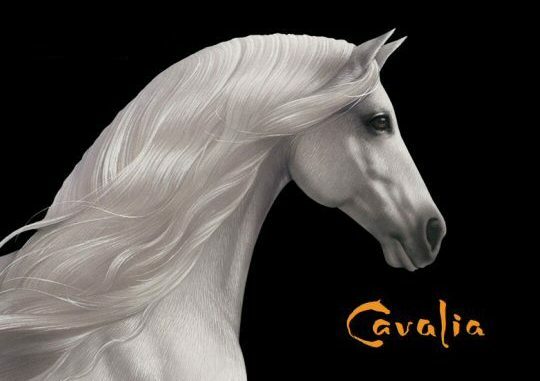 Presented by Cavalia an entertainment company that specializes in the creation, production and touring of innovative shows Odysseo stars 65 horses of 12 different breads. The animals become friends, partners and performers with the 50 artists who all together lead the viewer on a great journey through some of the world’s most breathtaking landscapes. Odysseo aims to push the limits of live entertainment by crafting a larger-than-life visual experience that still has soul. Their set consists of a 17,500 square foot stage that rises three stories tall. Approximately 10,000 tons of earth, rock and sand were trucked into Music City to create a space where horses and humans can roam freely. Odysseo is housed in five tents. One is for the lobby, seating and stage area. In the main entrance there are horse paintings, light concessions and a shop selling a wide range of Odysseo merchandise. The Rendez-Vous tent hosts VIP packages that features dinner, drinks and photo opportunities with the artists along with a private tour of the stables. Another climate controlled tent is for the horses who receive state of the art care which includes free time, health and grooming. Another canopy is used as a practice range and there is a place for the human artists too. It certainly appears that Odysseo has the potential to be “The Best Show Ever” and it is currently the biggest traveling production to date. Odysseo merges equestrian arts with high tech theatrical effects along with stage arts to carry spectators to a dreamy enchanted forest where horses happily frolic before embarking on an expedition that will take all of us to the Mongolian steeps, Monument Valley and so many more exotic places. Yet for all the majesty Odysseo speaks simply to the heart and soul by transporting viewers to a world where beauty, hope and serenity reigns. Thus, it offers the ultimate exodus from the trials and tribulations of modern life. On opening night – August 30, 2017 – Normand Latourelle the Creator and Artistic Director of Odysseo introduced himself before mentioning that bringing Cavalia to a community is no small feat as they travel with 120+ trailers and required 400,000 square feet. He thanked Mayor Megan Berry and other Music City Council Members who were present at the premiere for their support. Normand stated that of all the cities he has worked with Nashville was the easiest and most welcoming. In concession to the notorious Nashville traffic they delayed the show’s start time to ensure that the people still coming in would not miss a moment of the magic that was soon to unfold in a daring display unlike anything we have experienced. Mr. Latourelle also acknowledged the 120 regular employees of Cavalia along with the local staff. After a short video the curtain rose. In the first scene we found ourselves gazing upon horses quietly grazing in a dark forest before a singer emerged along with more humans. All coming together in fluid motions as majestic live music underscored the action. As Odysseo flowed from one scene to another it also showcased the talents of amazing acrobats in various configurations revealing different cultures through colorful costumes, dance, music and visuals. 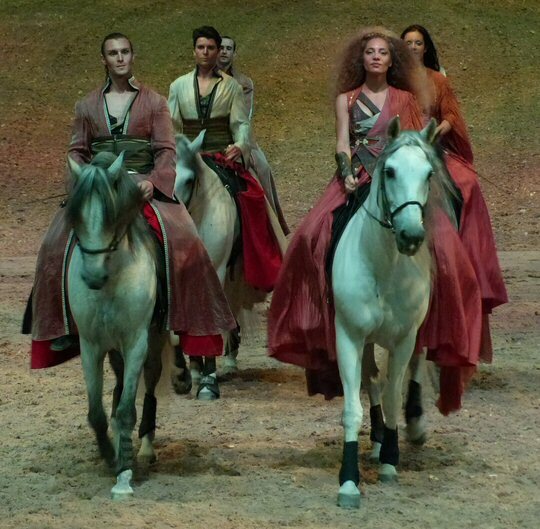 In some cases these artists worked with the horses who added elegance to the already incredible stunts. Odysseo was also about relationships. In one act a lady was leading a heard of handsome horses thought a series of graceful maneuvers. Her commands were subtle yet effective. At one point as the agile animals were standing in a line she touched each one in a slightly different spot demonstrating she knew what their preferences were. Later in a scene with a spectacular moving backdrop and a relatively large crew of horses and humans one animal decided he was not in the mood to participate in the formations. His trainer did not force him to be a part of it. Instead he followed the horse gently encouraging him to join the others which he eventually did on his own terms. It was one of a number of expressions of freedom that revealed itself during the performance. The culmination of the show blends all the elements together in a dramatic display of horses and humans paired with a state of the art set that involved a lot of water. 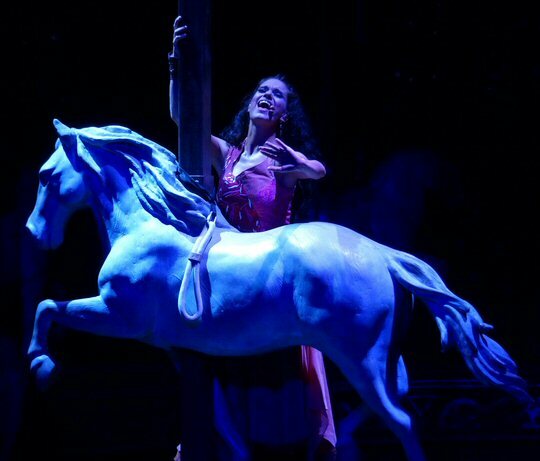 Odysseo was a stunning yet stirring voyage of acrobats, artistry, color, music, scenery and spectacle. 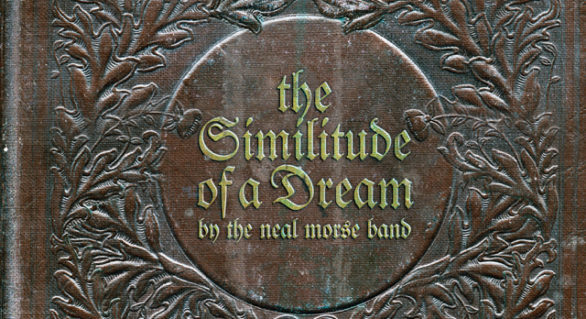 In our years of running the website, we at MusicCityNashville.net have been blessed to have seen many outstanding events and concerts such as TSO and even most recently the Roger Waters Us+Them tour which was heavy on effects but certainly no escape from reality. Having said that we can declare that for us Odysseo was “The Best Show Ever” or until Cavalia conceives another epic adventure. Now it’s up to Music City to see for themselves.